Wallie and Golden Tusk Awards are given annually at the CHPRMS Fall Conference to recognize excellence in healthcare public relations and marketing. Members compete in more than a dozen categories and a panel of marketing communications professionals from other states chooses the winners. Though the society was founded in 1973, the idea of recognizing healthcare organizations for their outstanding marketing and communications efforts was not implemented until 1978. The theme of the inaugural competition was "Through the Looking Glass" based on the novel by Lewis Carroll. In this novel, Alice sits in her armchair at home, drowsily watching her pet kitten, Kitty, as she unravels a ball of string. She snatches Kitty up and begins telling her about “Looking-Glass House,” an imaginary world on the other side of the mirror where everything is backward. 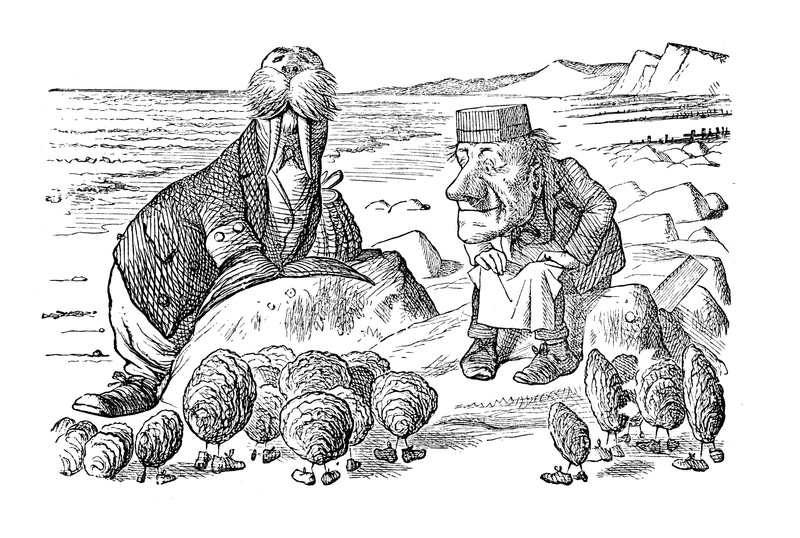 During her visit, Alice encounters Tweedledee and Tweedledumb who share the story of "The Walrus and the Carpenter". Hence, the birth of CHRPMS mascot, Wallie and the Wallie Awards. Several years into the annual recognition, it was decided that multi-media campaigns should be recognized separately from individual and one-time collateral pieces. This is when the Golden Tusk Awards made their debut.